Buying a property for sale in France privately is a popular method of purchasing, with approximately 50% of transactions being carried out directly between buyer and seller. The information in this article is intended to help those people, in particular non-French speakers, to benefit from this method of buying property in France. The main advantage of buying a property for sale in France direct from the owner is seen as saving on estate agent fees, although you may incur other costs depending on how much assistance you need. The process is not complicated but there are aspects that you should be aware of and that you will need to take into account in order to ensure that your purchase is successful. If you don't speak French, this can obviously be a major stumbling block. Finding a private property for sale in France, making the initial contact, arranging to view, getting proper answers to your questions about the property and negotiating the price can be difficult. Taking a friend along who speaks French is one solution. Alternatively, you can get professional help from a translator or an assistance service. Fees vary for this. And, of course, there are now many properties for sale in France with English speaking owners. In theory, the price of a property for sale in France should be cheaper when purchased directly from the owner. Ensuring that the price you are paying is reasonable, compared to other similar properties, is best ascertained by visiting a number of houses for sale in the area. Although the internet is a good starting point, to really get a feel for the prices you need to see exactly what is being sold. The condition and size of the house, the outbuildings and the amount of land that is included all make a difference. Other factors affecting the price of a property for sale in France are closeness to amenities and of course, the actual setting. 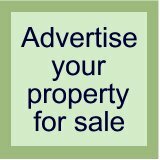 Be aware that owners can often have an inflated idea of the value of their property and may even advertise it at the same price as it would have been if bought through an estate agency. When buying privately, it is up to you to decide the true value of the property and if the asking price seems reasonable. When you buy a property for sale in France, the seller will instruct the notaire to draw up the 'compromis de vente' (the initial sales contract). The notaire's role is to ensure that the legalities of the sale process and the contract are adhered to. In most instances, the buyer will use the same notaire as the seller as the notaire is independent of both parties and acts in the interest of both. 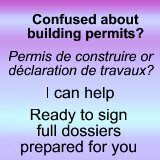 If you prefer, you can ask for the documents to be sent to another notaire of your own choosing. This will not cost you any more as the fee is shared by the notaires. However, this shared fee arrangement does not usually apply if you use a solicitor who is based outside France. If the notaire does not speak your language, a translator should be available to help you. This will be at your expense. And remember, a translator translates. They do not necessarily have experience in property matters and cannot advise you on what questions to ask about the transaction. If you decide to use a different notaire to the vendor, it is most useful to you to find a notaire who also speaks English. It is not unknown for a happy purchaser to arrive at their new home in France to find that the fitted kitchen that was there when they viewed three months ago has been removed. Specify in the initial sales contract exactly what is being left, especially concerning kitchen and bathroom fittings and items of furniture. A monetary value is given to these items and, although they are included in the overall sale price, the fees and taxes that are payable on all real estate sales in France are reduced slightly. If there are other items that you would like and that are not included in the price of the property, these can sometimes be negotiated separately with the owner. Having decided that you have found your dream property for sale in France it is all too easy to rush into signing without giving yourself time to consider what needs to be in the initial contract. The notaire will require information about the financing of your purchase and it is standard procedure to have a clause making the sale subject to a successful loan application, if you are borrowing from a bank. Do you want to convert the barn into living space? Do you want to build a new house or an extension? Do you want to convert the loft? All of these, and more, are subject to planning permission and should therefore be included as a conditional clause in the initial sales contract. Public footpaths, rights of way, historical monuments and proximity to agricultural buildings are other issues you could come across that would have a bearing on your plans for your property. You can sometimes apply to have footpaths moved when they cross your land. If this is important to you, it needs to be discussed with the notaire. Think about what you want to do, or may want to do in the future, and ensure that you will have the necessary permission. It is your responsibility to tell the notaire about your plans so that the contract can be drawn up to safeguard your interests. You've seen a property for sale privately, and you want more information or to buy direct from the owner, but you're not sure how to go about it? See Buy Property in France Without an Agent. French succession law applies to all immovable assets owned in France, whether you are resident or not. Something that is very often overlooked when purchasing your property for sale in France, is what happens to it when you die. Because of the particular laws of succession in France, it is important to consider this. You cannot just leave the property to whoever you want, nor does 100% of the property automatically go to your spouse. There are specific clauses that can be put in the sales contract to cover a variety of circumstances and you should discuss this with the notaire. Again it is your responsibility to make your wishes clear. The sales process from initial sales contract to completion is normally about three months. Once the notaire has all the necessary documents, all parties are contacted and an appointment made at the notaire's office to sign the definitive contract. Arrange to visit the property again before signing. Once the transaction is completed, you will have no comeback against the owner as it is usually specified in the contract that you are buying "as seen". The process of buying a property for sale in France is fairly straightforward. If you decide to buy your French property directly from the owner, bear the above points in mind and be proactive. If in doubt, ask.